Graduation day is looming, and it’s time to find a job. Landing your first job is extremely important for guiding the trajectory of your career. Therefore, it is important to take the time to think about what you would like to do. Unfortunately, getting hired has become increasingly harder with each passing year. Employers have wizened up. They realize that putting more effort into the hiring process will save them time and resources down the line. In the new digital age, there are different ways to differentiate yourself and help you get hired. I am here to help you do everything in your power to be prepared and land your dream job. It is not just enough to have a paper resume in today’s employment search. You need to have an online persona. The first step to creating your perfectly tailored online image is creating a LinkedIn. Your LinkedIn should have as much information as possible. Make sure you add in any extracurricular activities, clubs, charities, or volunteer work you have done. Take the time to go through each category in LinkedIn and try to fill it in. You can ask professors or past employers to write you a recommendation on LinkedIn rather than completing a formal letter. The earlier you create a LinkedIn profile the better. From the moment you enter college, you should create a profile which has general educational information and part-time jobs. The sooner you start to add connections, the more opportunities you will have when it comes time to get a job. Don’t panic if you haven’t created a LinkedIn profile yet. This just means you might need to be a bit more aggressive about adding contacts. LinkedIn is not like Facebook. You don’t need to be bashful about connecting to someone you don’t personally know. Target HR representatives or recruiters in companies you would like work for. You want to build up your network in every way possible. Start to gather writing samples and class projects that are related to the position that you are interested in. It can be helpful to start your own blog, if possible concentrate on topics related to the profession you would like to join. If that doesn’t call to you, then you can choose a different topic of interest. Just make sure the content is appropriate for future employers to see. Having a blog is a great opportunity to show employers that you have a good understanding of the internet culture. You can also show off your knowledge of a specific content area and your writing style. A blog serves as an interactive portion of your portfolio. No matter what industry you are applying for, employers want to see that you are technologically savvy. Lastly, make sure to remove any incriminating evidence floating out there about you on the internet. This will not help you build that online portfolio you are looking to cultivate. By this time, you may have had a few internships or a concentrated area of study. If you fall into this category, then you may be aware of which jobs call to you and which do not. If not, then take the time to shadow someone in a position that might be of interest for you. Reach out to your immediate network, your friends, parent’s friends, and professors. Don’t be embarrassed to ask people for help. Everyone started out as a recent grad at one point in their life, and they can remember how hard that time was. It’s important not to waste time applying to a million different types of jobs. 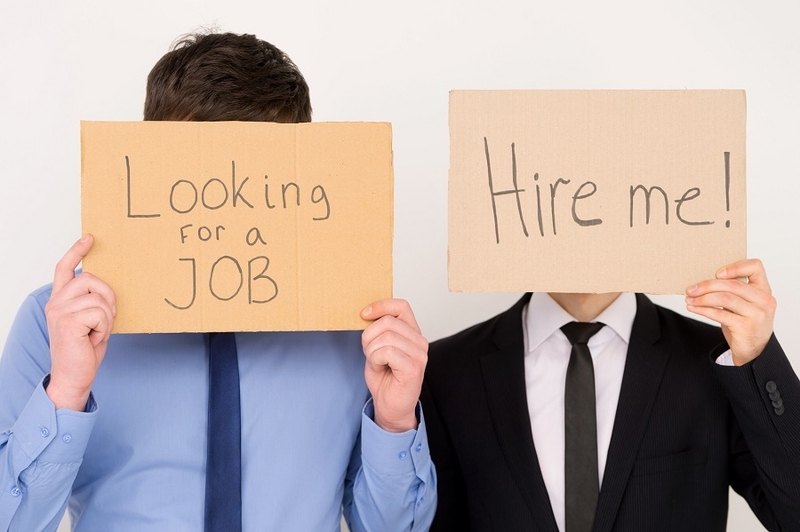 This strategy can make the already daunting task of finding a job seem nearly impossible. It’s time to reign it in and make some hard decisions. You don’t have to worry, most likely your first job won’t be your last job. Finding your first job will be easier if you concentrate your focus on one area. There are many steps involved in landing your first job. It can be an overwhelming process, especially if you are still finishing up your classes. Make sure you do your research. Keep an excel sheet of all the positions that you apply to. From the second you send out your resume, you should be prepared for the interview at a moment’s notice. The hiring process begins when you receive that first phone call from a potential employer. This means you should find a quiet place to answer that first phone call. Make sure you find out as much information about the interview process in advance. You should ask about the length of the interviews, how many will be involved, and if there will be any employee assessments. It is becoming increasingly more popular to have an assessment test as part of the hiring process. Make sure you study in advance for that portion. The best way to study is to use online practice materials, study guides, and explanations. Lastly, don’t forget to get a good night’s sleep before the interview and dress to impress. Server responsed at: 04/24/2019 10:42 p.m.